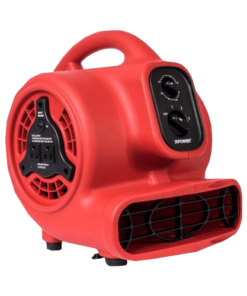 Unlike axial air movers, centrifugal air movers are shaped smaller and more compact. 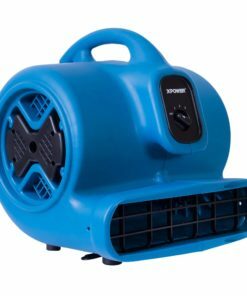 The XPOWER centrifugal or snail fans are very powerful, low-profile, and light-weight restoration fan perfect for drying carpet, removing fumes, ventilating areas, and preventing mold. 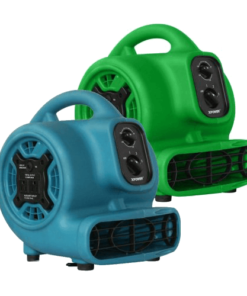 These units have been manufactured with rugged, state-of-the-art injection mold technology, creating a sturdy housing structure that protects internal components. This compact, commercial grade housing design means you get a durable air mover that can be easily picked up, moved, stacked, and stored without taking up a lot of space. All of our products are ETL/CETL Safety Certified to guarantee work safety and consumer safety. 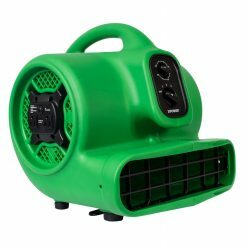 It comes with a specially designed dual thermal protection motor to ensure optimum performance and provide you with years of drying and circulation with hardly any maintenance or breakdowns. The convenient wraparound cord design makes it easy to move or store units anywhere in your home, garage, or workplace. 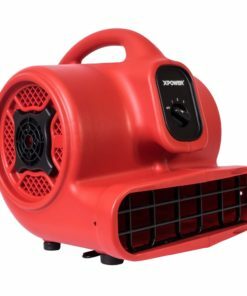 A DIY Favorite, our blower fans are great at drying out puddles and damp garages. 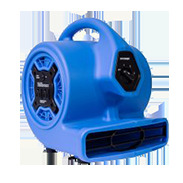 Use our blower fans to cool, vent or dry. 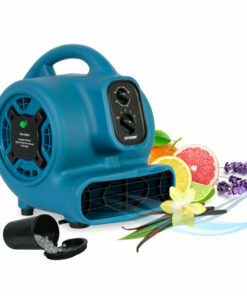 You will find XPOWER’s compact fans great at helping you with your DIY home projects. XPOWER fans are the most efficient machines by being the smallest most powerful air movers on the market. Industrial performance in a compact size, Designed to be your DIY buddy.